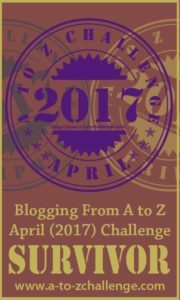 With a surname like Kitto, how can I not repeat it again for this years blogging A to Z held each April – AtoZChallenge Kitto. I shared a picture of my Mum and Dad on their wedding day for the #GenealogyPhotoADay prompt “Father”. This is my father and mother with his then new mother-in-law, Grace Dawson, nee Shepherd. I wonder if he thought about what it might be like to be a father. It did happen, just over a year later on from his wedding. I appeared. My father is all dressed up in a suit. His father, my grandfather, was a tailor however he had died back in 1953 so may not had made the suit unless Dad dusted it off from the wardrobe. I think I remember the dress my mother wore on her wedding day. It hung in her wardrobe. Memories fade. It was a beautiful fabric with a tone on tone shine. The colour was perhaps pink or peach. I think it was below the knee but not full length. Nana would have gone to town to look her best and always finished off events like weddings with a corsage. It was probably made by her and grown in her garden. She was extremely proud of both her vegetable and flower garden. I wrote about Nana and winning a floral art show in a birthday memorial post. My father, Ernest Eric Scott Kitto was born 27 June 1917, married 6 December 1954 and died 29 May 2000. My mother, Rowena Mabel Dawson on 1 June 1921 and died 12 November 1975. Nana, my maternal grandmother, was born London on 6 January 1896 and died the 14 May 1992. Hope I got some of her “live long” genes. 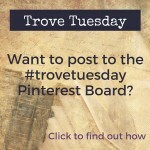 I previously shared this photo with another family story – How did Mum & Dad Meet? 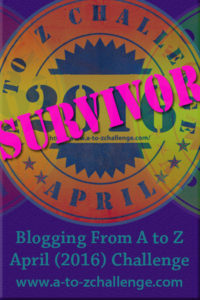 With so many vital records in this post I better index it in the section of my blog called “My Family History Year ”. It is all about events in my ancestors lives on a particular date. The topic will bring to light my family history a day at a time. 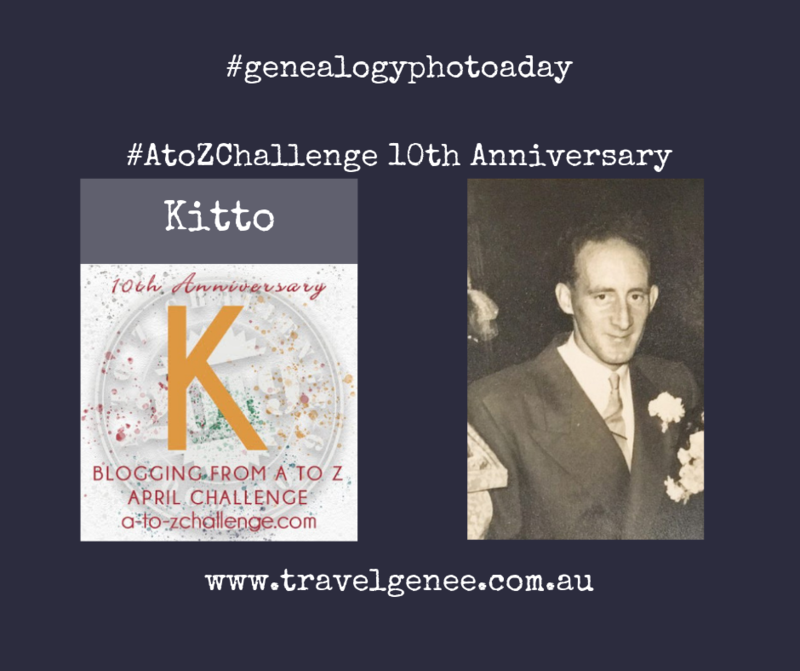 Great photo memories…and what an unusual last name “Kitto”. Great wedding photo. I am amazed that she kept her dress and you remember it. My mother said she wore a light blue suit, but I never saw it. The best dress mum saved was a black gown with diamanté’s scattered all over it. We had hours playing dress ups. A lovely photo! Your mum was only young when she died. It must have been tough for you. Yes, not “like” you can do much about it. She gave so much to me in her short life that I “toughed” it out. One photo, three relatives, a hundred stories. 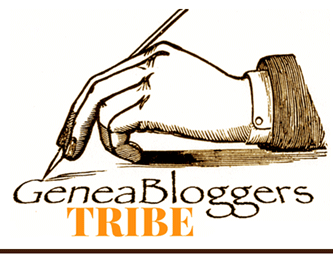 Anyone searching for a lifetime project can choose genealogy research. I’ve been researching for decades and never get tired of the stories. Gail, you are so right about there being so many stories for each picture. I often struggle with my limited family photos however with your thoughts I know I can share many stories for the same image. Thanks. That’s a great photo. 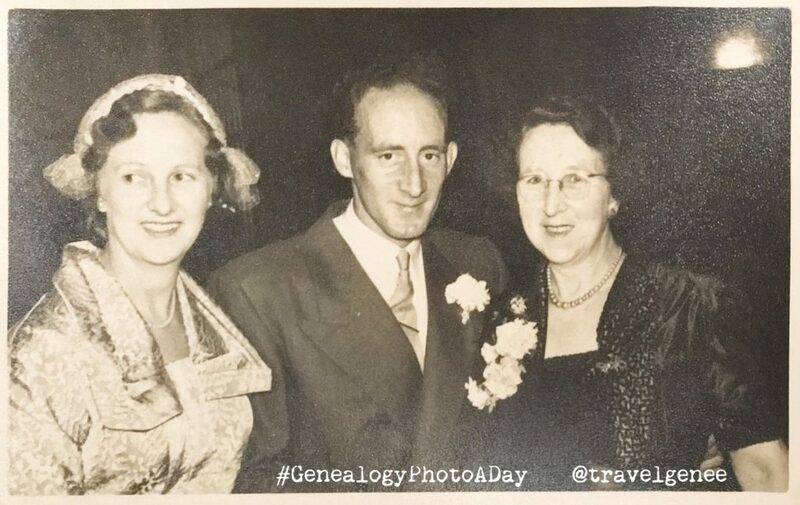 I’ve also tried to do #Genealogyphotoaday, but that’s a lot to keep up with. I try to keep my Instagram to more recent family photos to share with my younger cousins, nieces, nephews, etc. They enjoy those more than any really old photos. I struggle with doing regular Instagram posts too. I think that the old photo ones are more for family historians who like reading the background story too. I have a wide and audience so some I’ll not like all my posts. Lovely photo, yes K was easy for you! Enjoying following your posts. Interesting that your mum didn’t marry in white, I wonder how long that tradition is. I like this pic of the 3 of them, it shows that a wedding links more than just 2 people, it links their families, too. It was her second marriage so perhaps that is why. Her first husband did not come back to New Zealand after he left for WW2.